I had the pleasure of seeing Transformers last night with a friend. I stress the word pleasure because it was exactly that. I wasn’t expecting good acting only going for the special effects, but Shia LeBouf was the movie standout. His comedic delivery and believability are top notch. 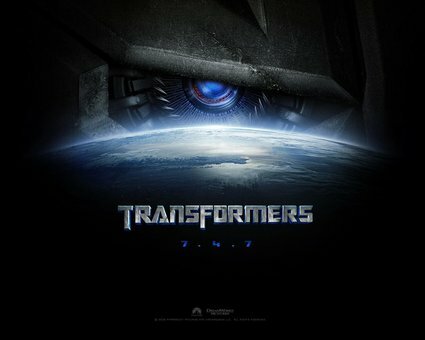 Michael Bay, the director, did an excellent job despite being largely criticized for his past big, over-the-top movies. Granted, there are several plot holes in the movie, but remember you’re watching a film about big giant robots once catered to 5-year old boys as I once was. Indulge yourself, and you’ll come away watching one of the most visually impressive, entertaining, and freshest movies (at least in terms of cadence and visuals) in a long time. 4 1/2 out of 5 stars, though it’s not Oscar material (like I know what is). Oh, and I also saw Ratatouille over the weekend. Different kind of movie than the above, but Pixar’s animation is the best I’ve seen and this is easily my favorite film they’ve made due to its sophistication and compelling story. Both films highly recommended.